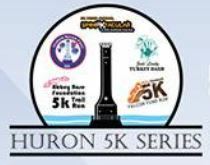 Get ready to participate in the Huron 5K Series — have fun and contribute to wonderful causes! The first in the series is the Abbey Rose Foundation 5K Trail Run/Walk & Kids Fun Run on May 4, 2019 at Fabens Park! For more information click here.